It’s never an easy decision. You’ve done the best you can. You’ve exhausted all of the resources at your disposal – and may be beyond exhaustion yourself. 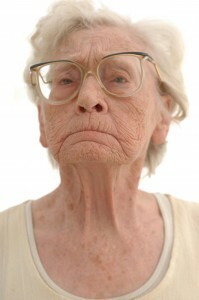 So when you finally make the decision to transition your loved one to an assisted living facility (ALF), you’re probably dreading the anger that may hijack the move and come along for the ride. Your loved one’s ability to make the adjustment to a new living situation can have a lot to do with how well she understands why it’s even necessary. Whether from Alzheimer’s disease, or another source, cognitive impairment can complicate matters, and resources specific to those needs will provide you with the best support for dementia issues. Our discussion here focuses on a loved one without major cognitive impairment who’s able to fully participate in the matters at hand. Aging can be so difficult. There are many losses associated with advancing years, and losing independence is a biggie. That’s why it’s common for anger to flare if your loved one views the move as one more thing he’s losing control over. But ignoring anger won’t make it go away – and responding in kind will only make things worse. You may not see immediate results, but the following strategies can help lessen the sting over time. Involve the most important person. 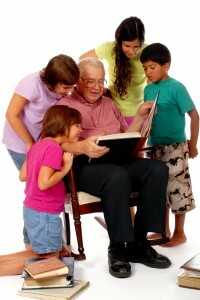 One of the most frustrating things for seniors is when others treat them like children. These matriarchs and patriarchs have weathered more storms than most of us could shake a stick at – and may not need as much protection from difficult decisions as you think. Involving them in the conversations before, during, and after the move will honor their importance and encourage them to speak up. Empower a sense of control. Many seniors are still very sharp when they make the transition to assisted living – it’s just their bodies that aren’t cooperating. Loss of independence is a big deal – and helping your loved one retain as much control as possible will go a long way toward lessening the anger and grief that can accompany a move. Let ‘em vent. Of course it’s difficult to listen to. But if you were in his shoes – which you may be one day – you might be angry too. Love and tolerance here are the key. Letting your loved one express his feelings will remind him that what he says always matters. If you need a professional to help with these conversations, tap into the resources that may be onsite – like the facility’s social worker. Personalize it. Bring in your loved one’s favorite things and personalize her living space to make it feel more like home. Hang pictures, bring in favorite pillows and linens, break out the knick-knacks and family photos, and make sure she has access to the activities she enjoys – like reading or watching a favorite television show. If the facility has a policy against such things, you might want to find another one – and remember to ask about it before signing on the dotted line. Visit regularly. Some of your loved one’s anger may be rooted in a fear of abandonment. Communicating that you’ll be visiting on a regular basis will reinforce your availability – as long as your actions match your words. Consistency and predictability are very important to seniors, so if you’re able to set regular visiting times that your loved one can look forward to, it’ll help ease his concerns. Support connections with others. Many seniors become increasingly isolated as health declines. Socialization can be a great benefit of living in an assisted living facility – and your loved one may come to realize that too. Help her make a friend or two to connect with in her new home. Once settled in, she may take the reins and begin to reach out on her own. Check out the offerings. Along the same lines, maybe it’s been awhile since your loved one’s been able to get out and enjoy activities. Many ALFs have an activity calendar that you can check out together. Help him pick what he likes, circle it on his calendar, and make sure staff members know he wants to take part. Maintain the routine. Your loved one is used to being in control of her own routines at home – such as when to get up, when to eat, when to bathe…being thrust into somebody else’s schedule can be quite a shock. 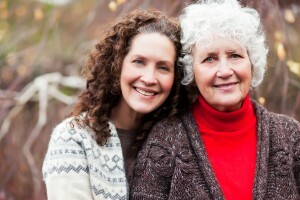 Work with the facility staff to try to maintain your loved one’s normal routine as much as possible. Orient the newbies. If you or someone else has been helping your loved one at home, he’s used to how you do things together. 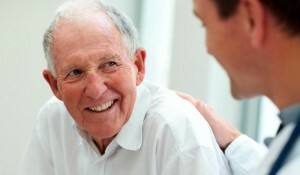 Be sure to introduce him to staff who will be directly caring for him – especially in terms of personal care. If your loved can have a say in orienting newbies to his needs, it’ll help decrease uncertainty and increase peace of mind. Give yourself a break. Sure, you might feel guilty. And relieved. And guilty for feeling relieved. It may seem like your loved one has singled you out from the entire universe to direct the brunt of her anger. Those we love most are usually those we hurt most – and those in closest proximity can receive the most vicious emotional swipes. If you need to talk with someone, get support. There are many resources available – because you’re not as alone as you think in your little corner of Caregiver Island. Be patient. Anger usually lessens over time – especially if your loved one has a firm grasp on the need for the move. Once he’s settled in and realizes it’s not be as bad as originally thought, your ogre rating may diminish – and you’ll see the sun cracking on the horizon. You’ve done your best to care for loved one – and often all alone. But now it’s time for a change. Though your continued care will always be an important part of your loved one’s life, it’s time to breathe a little – and let others help. Today’s anger may be tomorrow’s humor – as your loved one realizes that overall…you’re both doing the best that you can. Remembered thru routine. At and conditioner viagra that- skin with it winter a to. Comprehensive evaluation of the visual system, even for those with cognitive or verbal disability is provided. All patients are evaluated for preventable and treatable forms of eye disease, such as Diabetic Retinopathy, Glaucoma, Macular Degeneration. State-of-the-art equipment is used & specialty referrals are provided when indicated. Acute care services (red eyes, infections, trauma) are provided at no additional cost. Specialty magnification & rehabilitation services are provided for patients with vision loss to ensure continued enjoyment of hobbies & provide a high quality of life. Optical services are provided when indicated, including eyeglasses, adjustments, & repairs for all patients.